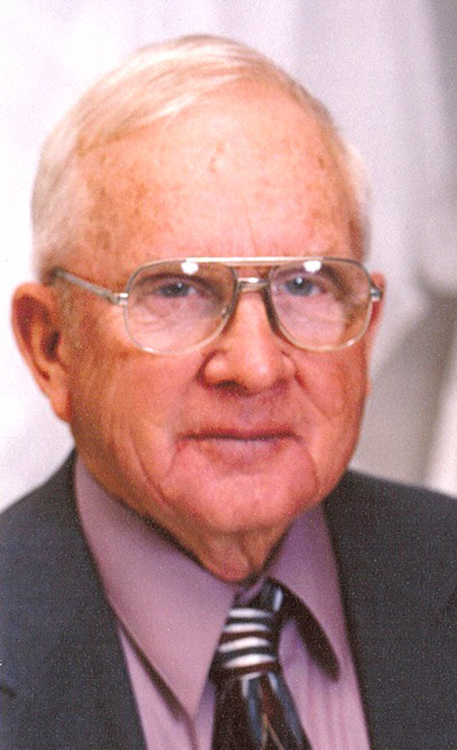 Harvey Faulkner, 84, of Ravenden, passed away Sunday, Dec. 30, 2018, at Flo & Phil Jones Hospice House. He was born March 12, 1934, in Caraway to the late Bud and Mahaley Ramsey Faulkner. He was a farmer, cattle rancher for his entire life and was of the Baptist faith. Harvey served on the school boards of Caraway and Riverside Schools. He was also a Monette Co-op board member and a Caraway Ambulance Board member. He was also preceded in death by a brother, Vernon Faulkner; father and mother-in-law, Troy and Eithel Booth. He is survived by his wife of 67 years, Mary Faulkner of the home; his children, Harvey Edward (Janis) Faulkner and Ronald (Janet) Faulkner, all of Caraway; grandchildren, Carrie Walling, LeighAnn (Mat) Short, Ronna (Brannon) Qualls and Hailey (Kyle) Vaughn; great-grandchildren, Lainey Walling, Dalton, Maleigh and Macie Short, Annalee and Beckett Qualls, Arden, Ensley and Kreed Vaughn; a sister, Betty Beakbane of Gallatin, Tenn.; brother, William Faulkner of Caraway; sisters-in-law, Jackie Faulkner, Edna Mae Qualls and Etta Lee (Don) Dumond; former daughter-in-law, Debra Faulkner; and a host of nieces, nephews and friends. The family received friends from noon until 2 p.m. Wednesday at Gregg-Langford Bookout Funeral Home. A celebration of his life was held at 2 p.m. Wednesday, Jan. 2, at Gregg-Langford Bookout Funeral Home Chapel with Jim Sweeney, Frank Casillas and Barron Wildman officiating. Interment followed at Caraway Cemetery. Honored to serve as pallbearers were Colton Dail, Bryan Dail, Roger Bell, Howard Walton, Glenn Bailey and Wayne Kelly and as honorary pallbearers, Earl Cate, Jack Dale, C.W. Bratcher, Scotty Matthews, John Huskey, Cecil Brickell, Harold Lamb and Danny Branscum and Grandma's Cookin & Coffee Shop crew. Lasting memorials may be sent to Arkansas Children's Hospital or Ravenden Baptist Church Building Fund.